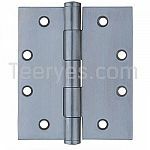 Wood door hinges are relatively simple mechanisms. 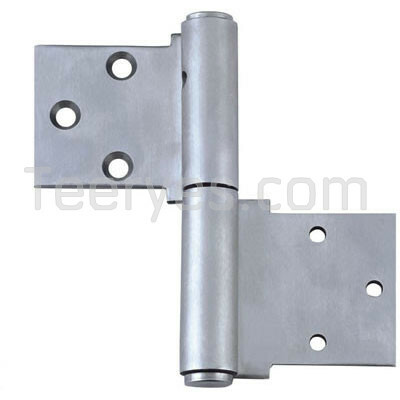 They're pieces of metal with cylinders hooked to the door with a second piece of metal that has cylinder extensions hooked to the door frame. 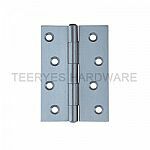 It is up to you to purchase hinges for your new door and mount them so they are flush with the door edge's surface. 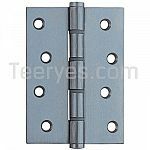 The hinges used on wood, metal, or plastic garage doors follow the same basic design. 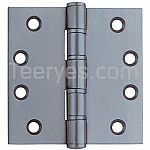 Hinges used on wood come in two basic varieties: decorative and functional.